Offering in our Full Time Program - CUA40113 Certificate IV in Dance, & CUA50113 Diploma of Dance (Elite Performance). As a part of our Part Time Transitions Program, (PTTP) Newcastle Ballet Theatre offers the CUA30113 Certificate III in Dance. All Qualifications are delivered under the auspice with ATOD (RTO #31624). NBT provides facilities and time, as needed, built into the daily timetable. 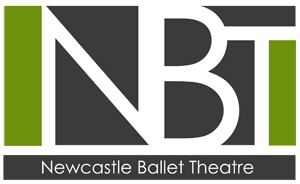 Newcastle Ballet Theatre's Full Time Program is designed for the serious student wishing to pursue a career in dance. Our program runs 5 days a week, with around 30 studio hours per week. The program aims to increase, improve, and refine technique, strength, knowledge and presentation. In addition to the Full Time hours, all Full Time dancers have access to all studio classes, inclusive of Full Time fees, as well as Private Coaching, helping to build not only stronger technicians and dancers, but also well rounded and intelligent artists. For further details, please contact the studio on 02495 69372 or Rider on 0401 214 042 or our website. Classical Ballet, Pointe, Boy's Coaching, Repertoire, Pas de Deux, Contemporary, Pilates, Yoga, Stretch & Conditioning. Kristy Tancred, Rider D. Vierling, Meg Akerman, Julie Wells, Belle Leonard, Bronte Della Bosca. Auditions are taken throughout Term 3 and 4 - including Post HSC - at the NBT studios by appointment. Video Auditions also accepted. Please see website for video requirement. Please phone Rider 0401 214 042 or email nbt1@live.com.au to arrange your audition time.